On Saturday night, on the main card of UFC Brooklyn, wrestling ace Gregor Gillespie secured the dominant victory he was seeking, thrashing the dangerous Yancy Medeiros to second-round stoppage. Unfortunately, it’s not all good news for the surging lightweight contender. At some point during the night, a slimy fan slithered into the Barclay’s Center and stole Gregor Gillespie and his coach’s fight bags. In doing so, they made off with not only his gear, but his wallet. Now he faces the struggle of replacing his driver’s license at the DMV — a far more daunting task than any fight in the Octagon. Gregor Gillespie explained the situation on his Instagram post-fight, assuring that whoever stole his bag can keep the memorabilia inside it — he just wants his wallet and mouth guards back. “To who ever it is who stole mine and one of my coaches fight bags at the Barclays center tonight. Could you please just return my wallet and my mouth guards? If you stole the bag for some memorabilia, that’s cool you can keep that if you want, but id really like my wallet and mouth guards back. 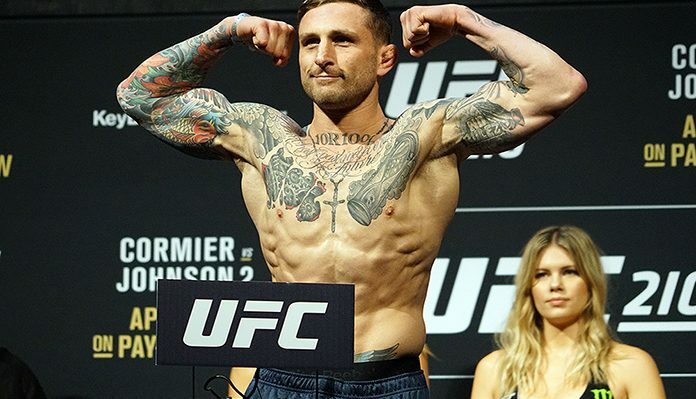 I REALLLLLY don’t want to go to the DMV” – Gregor Gillespie on Instagram. Hopefully Gillespie gets this situation sorted so he can focus on training for his next fight rather than replacing his ID.